The perfect setting for a fairytale wedding with a wide choice of panoramic terraces overlooking the sea, olive groves and fantastic gardens, private descent to the sea for film photos in one of the best location for your Italy destination wedding. As well as being a luxury location, Villas still conserves the style and atmosphere of a family home with the best traditions of southern Italian hospitality. That’s why they are perfect for an unforgettable ceremony or a wedding reception and open bar. Just imagine the reflection of the sun in the sea at sunset or candle-light blending with twinkling stars on the horizon, to have an idea of the beauty of a wedding in a Villa in amalfi coast. The dream of a wedding in a villa overlooking the sea on the Amalfi Coast becomes reality at Villa Oliviero in Positano. Located right at the top of the colourful pyramid of houses that constitute Positano, with its spectacular view, is one of the ebst venues for wedding in Amalfi Coast. A splendid villa in late liberty style, with a protracted harmonic outline has been always an ideal location for ceremonies, exclusive meetings and weddings in Ravello. This isn’t just any Italian Hotel but a unique gem set in the rocky Amalfi Coast. 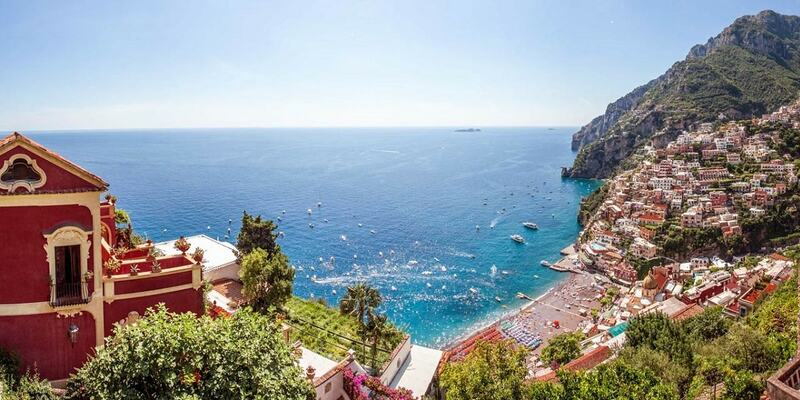 A private house in the beautiful town of Praiano, just minutes from Positano.